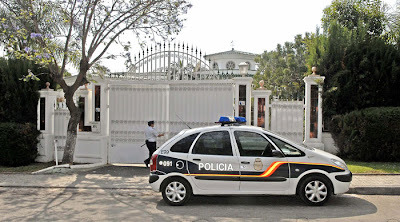 Around a year ago one Friday the early morning tranquility of Guadalmina Baja in Marbella was broken by a heavily-armed eight-man squad from the National Police raiding David Klein’s sumptuous villa. The police search warrant covered fraudulent and forged passports, driving licenses and identity documents. Klein, his long-suffering wife and their housekeeper were sat on straight-backed chairs and told to keep quiet (difficult for motor-mouth) as the house was ransacked. The police took away many papers and documents and Klein himself. Klein was then held in the cells, dungeon actually, of the Marbella Comisaria of the National Police for seventy-two hours. He was refused access to a lawyer. 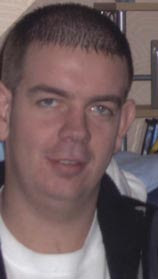 Klein was released on bail and scuttled down to Gibraltar to draw out 8,000 euros to pay his lawyer. 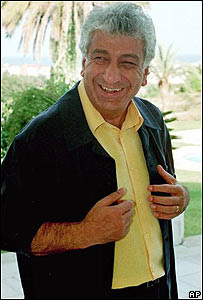 Until recently Klein was reporting to the Marbella court twice a month as a bail condition. Due to the state of his health (dodgier than his licenses) his lawyer has now persuaded the court to drop the requirement to sign on at the court. Whereas the rest of him ceases to function unfortunately Klein’s mouth keeps going. Klein’s trial will take place in due course. He is unlikely to be given a custodial sentence due to his age and infirmity, but the fine will be painful. Facebook and Bebo were used to invite teenagers to a party that resulted in a £4.4 million mansion being wrecked. 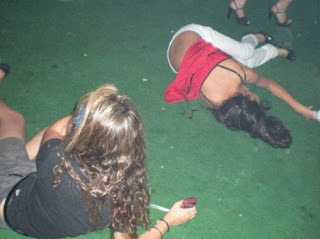 The British-owned Marbella house was wrecked after 400 teenagers were invited to the party via Facebook and Bebo. 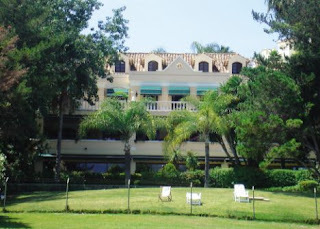 The party was hosted by the owners' 16-year-old daughter.Jodie Hudson had posted details of the party on the Facebook and Bebo sites, inviting any teenager across the Costa del Sol, saying: 'Theres gone be a lot of alcohol an amazing DJ [sic]'. The invitation sparked rumours that the house could be trashed because Jodie's parents were getting divorced.£6,000-worth of jewellery and clothes was taken by partygoers, and the televisions, tables and chairs were thrown into the swimming pool. 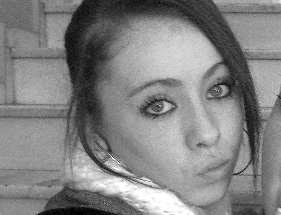 Amanda Hudson, Jodie's mother, called the police at midnight. The owner and manager of a mattress factory in Casablanca were detained Sunday after at least 55 people were killed in a fire which broke out in the factory, Morocco's official news agency MAP reported. 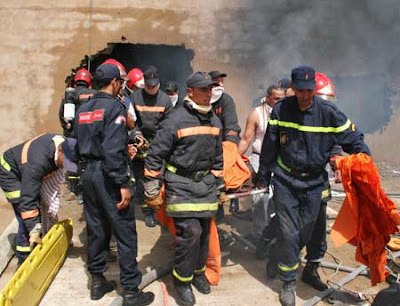 Firefighters evacuate a victim of a fire that broke out in a mattress factory Saturday, April 26, 2008 in Casablanca, Morocco. Factory owner Adil Moufareh and his son Abdelali, the factory's manager, have been detained for questioning. Poor safety measures and locked doors which trapped workers were blamed for the tragedy, during which at least 55 people have been confirmed dead and six others were hospitalized, local police said. The blaze broke out in the morning at 10 a.m. (1000 GMT) on Saturday in the first floor of the Rosamor Ameublements factory in the Hay Hassani neighborhood of the North African country's economic capital as well as the largest city, the report said. About 60 of the 150 workers, recruited by the factory, were on site when the fire erupted, according to MAP. Some 100 fire fighters were deployed to control the blaze, believed to be the deadliest in the country since 2002 when a fire in a prison left 50 people dead. Morocco has seized 3.477 tons of hashish on a rubber boat apparently bound for Europe on the Mediterranean coast, state MAP news agency reported on Wednesday. In one of the biggest hashish hauls of the North African country, the Moroccan marine on Tuesday night intercepted the tons of hashish arranged in 128 parcels and put in an inflatable boat with three strong engines, local authorities was quoted as saying. None of the boat occupants was arrested, as they managed to flee when the marine agents raided in, the report said. Morocco is one of the world's major providers of hashish. Tons of the banned substance are seized each year mostly in northern port cities, with the bulk destined for Europe. 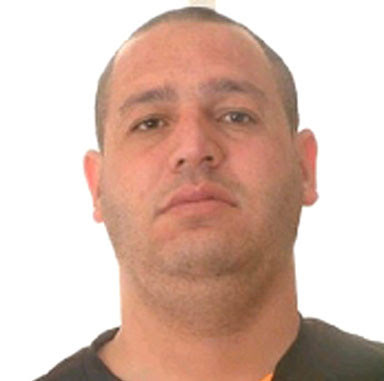 Spanish police arrested Mohamed Ouazzani, a Moroccan national also known as "El Nene" ("The Baby") in Ceuta, a Spanish enclave in northern Morocco, as he was driving around the city centre . Police caught one of the world's major drug traffickers in a Spanish enclave in north Africa, police said , after guards helped him escape a Moroccan prison in December. "This is extraordinary news," Khalid Naciri, a Moroccan government spokesperson, said. Rabat had been mounting pressure on Spain to extradite him, a security source said. 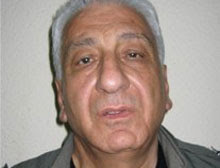 In December 2007, Ahmed escaped Kenitra high-security prison 40 kilometres (around 25 miles) north of the capital Rabat, where he had been serving an-eight-year prison term since 2004, for drug trafficking. Until his escape, the suspect was being detained in a comfortable three-room cell equipped with a television, air conditioning and Internet. He would regularly go out to nearby bars and restaurants. 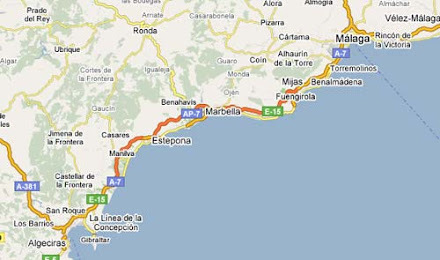 Notorious in Morocco and Spain, "El Nene", was born in a poor Ceuta district and later joined gangs. He acquired an estimated 30 million-euro (around 47 million-dollar) fortune from drug dealing, a Spanish police press statement said.